My sister taking part in a 10k AIDS walk… got a dollar? A few days ago, I received a message from my sister. I’ve cut it up a little bit, here, but I wanted to deliver the general information in pretty much the same way she presented it to me. It’s a little humorous, that’s our writing style, as siblings. Anyway, the deal is she set up an account with AIDS Walk Los Angeles. She set a simple goal of $150. I would like to see her exceed that goal. After Edith’s Goal (more on that later), I think us helping her attain that $150 should be simple. Once an while I get a charity thing in my head and… here it is. I am writing to let you know that I have registered for AIDS Walk Los Angeles and am very excited about the event [This is true]. This is a very important issue to me so I have set an ambitious fundraising goal [the ambitious thing is not so true]. I want to do as much as I can to make a difference in the lives of men, women, and children affected by HIV and AIDS. Even though there has been a lot of publicity about drug treatments which are prolonging some people’s lives, they don’t work for everyone and there is still no cure in sight [good general information]. Moreover, young people are still getting infected at alarmingly high rates [also true, but the old folks homes are another place it’s a big problem and I’m not kidding]. I want your help [Yes, need it]. Will you please sponsor me for the AIDS Walk [pretty please?]? Just click on the website address below to enter my personalized web page and charge your donation [They’ve assured me it’s secure]. Thank you, in advance, for supporting this important cause and for showing that you join me in wanting to end this epidemic [and if you do you rock, seriously]. And that’s that. Thanks for real if you can help out and if you can’t, send the link on to someone who can. Follow This Link to visit my personal web page and help me in my efforts to support AIDS Walk Los Angeles. On her personal web page for the AIDS Walk, she also notes: “If you guys could kick down a little I’d really appreciate it. It’s a good cause. And yes, I’ll really walk it.” 😉 It’s a 10k walk, and you can get even more details here. Posted in GamingTagged Charity2 Comments on My sister taking part in a 10k AIDS walk… got a dollar? The Heroes Autographed Xbox 360 is gone! Some of you may remember that, back in December, I won an Xbox 360 that was autographed by the cast and crew of the TV Series Heroes. You may also remember me mentioning U360 cares – after a young lad saved up all his monies and then had his Xbox stolen shortly after he himself bought it! Well, after months of staring at a pretty autographed box… but not really doing anything with it, I decided it was time to put it to use. I will let my good buddy DeaconBlade360 fill you in on the details over at Unscripted360.com. 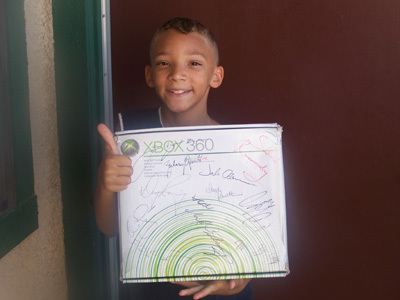 Posted in GamingTagged Charity4 Comments on The Heroes Autographed Xbox 360 is gone! Here’s another long winded post – but enjoy it. Most of you know I’m always on the hunt for good news. I love to do good things, to try and prove to people that not everyone who plays a video game becomes a serial killer. In the vain of good things, I am working on a pretty big thing right now. But until the right time comes for that announcement, I’m going to keep it mostly under wraps. But that doesn’t mean that nothing’s going on in the world of good. TXPaladin. You may remember the name from an early Better Know a Gamer. He contacted me a few hours ago. He’s up to something pretty spectacular. He and his wife, actually. TXPaladin’s wife, Edith, will be taking part in a charity 3-day walk against Breast Cancer. Susan G. Komen for the Cure is putting on this walk, and donations are currently being sought. TXPaladin’s wife entered this charity event, but now our Texan friend is putting a spin on it. In order to help his wife raise a $2,200 pledge, he is trying to seek out 360 individuals willing to donate $6.12 each. That already sounds fun, different, and honorable, but there’s more. Your donation of $6.12 entitles you to be entered in to a drawing. The winner will receive a prize pack fit for a hero. This is where it gets personal. My grandmother is a 10+ year (closer to 15 now) survivor of breast cancer! I have done work in the past to combat cancer; but every chance I get, you can bet I will show my support. I will do my best to assist TXPaladin in recruiting more for the prize pack, but even if my efforts are fruitless, he can count on my donation… I just have to pay my electric bill, first. 😉 Hey, back off! What good is a Gamertag without electricity? Meanwhile, I am working on a top-secret project to try and be a hero of my own. Until then, I’m going to help show The Power of 360. Posted in GamingTagged Charity10 Comments on Gamer Charity Alert: Can you spare $6.12? 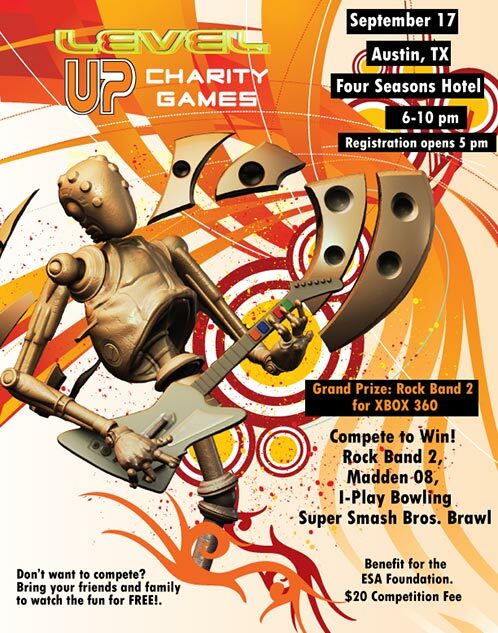 Posted in GamingTagged CharityLeave a Comment on Play Rock Band, fight Hodgkin's disease! 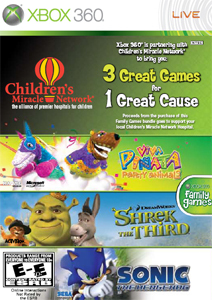 Posted in GamingTagged Charity2 Comments on Microsoft and Xbox 360 donates on a large scale! I’m going to apologize up front if this post drags on, but it’s something that should be said. So I downloaded a recent podcast episode of GamerTagRadio, a staple in the Xbox Live Community. In the opening minutes of the show, Godfree made a remark that he was “disappointed” in the Xbox Live Community. I listened intently. He made it clear that he didn’t want to stand on a soap box and preach, that wasn’t his role, but as one of the most famous and powerful podcasters in the community, he wanted to bring charity into the limelight. The point was made that late breaking news spreads like wildfire, but what about the good things gamers do? 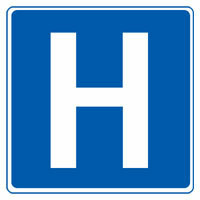 You may have heard a few things about RagingJellyBean and the Halo 3 Tournament to help get her surgery. If you’ve been asking “How does playing Halo give a girl a new kidney?” – why haven’t you clicked a link to find out more? The tournament has a $10 entry fee, and all proceeds will go to the fund trying to help RJB! 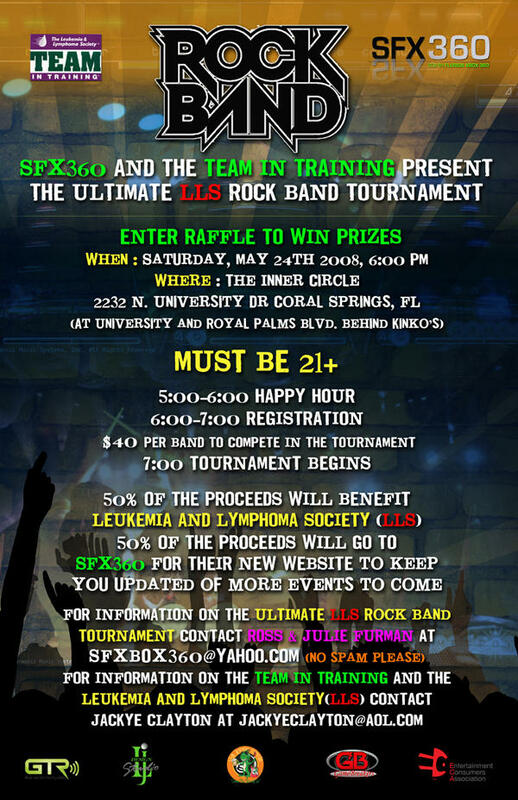 In another case, a Guitar Hero III tournament will be brought together by a large group of gamers, Red Octane, GTR, & SFX360 (South Florida Xbox 360 Meetup), all for the benefit of The Leukemia and Lymphoma Society. And my good buddy DeaconBlade 360, over at his Unscripted 360, has been doing everything in his power to get a poor kid who was robbed a 360. Maybe not as huge a charity, but still a great thing to try and take over. I’ve been supporting it as much as possible, and I will continue to promote this, and many other charity events in the future. I am cooking up a few things of my own, and I found out my sister (send her a message!) spent some time at an event I can only assume was a tie in between Hollywood princess Dakota Fanning, GameCrazy stores, and Child’s Play. Momentum is growing, and these charities are doing good things, but, as Godfree and crew said, it’s our job as the bloggers and podcasters to help spread the word. A post in a forum is sometimes all we can do, but independent journalist have the duty of spreading the word as best they can. So keep it up, folks. I know I will!